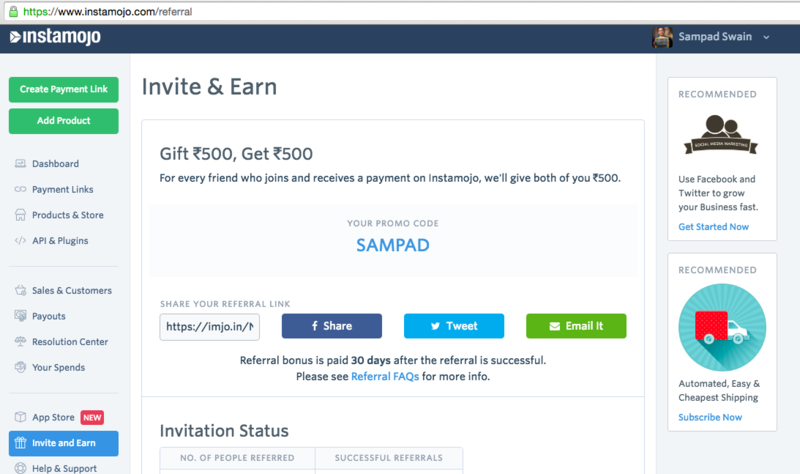 When you refer Instamojo to your friend, you should ask them to sign up using your referral link. Your referral link is your personalized Instamojo URL and Code which helps us track the Sign ups that you bring. 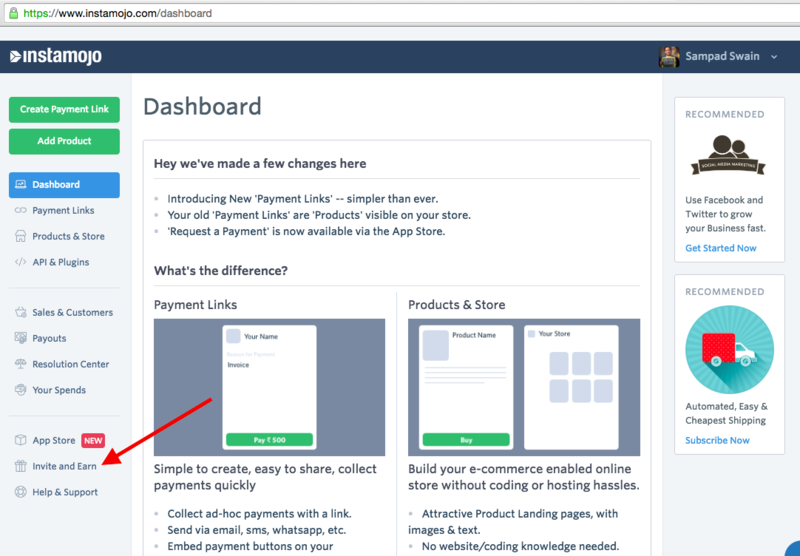 Whenever your friend is signing up on Instamojo, they should either click your referral link and sign up. If they don't sign up from your referral link, then it won't be tracked and you will miss out on the referral bonus.